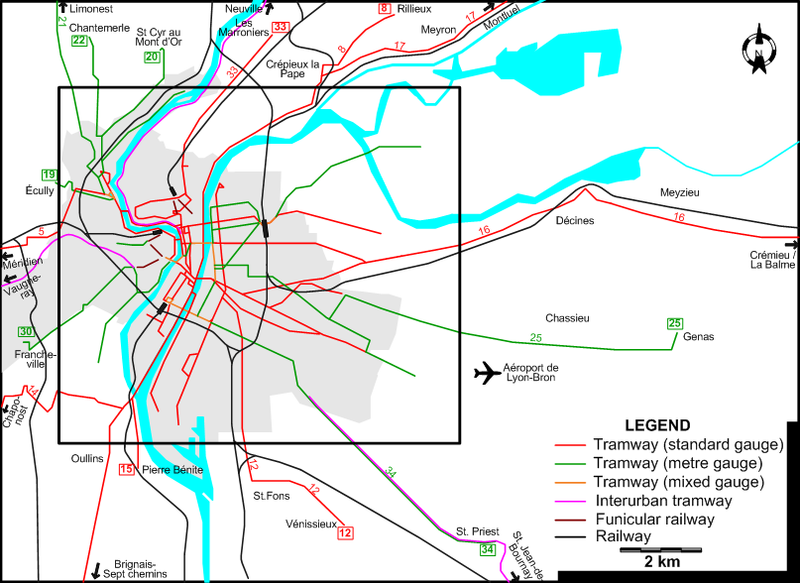 The Lyon network close to its peak extension. 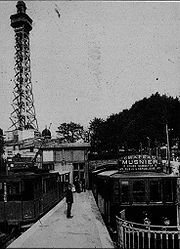 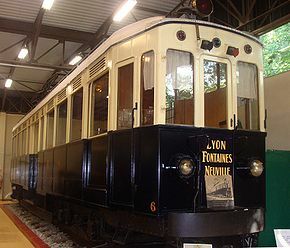 Note: The TOD (Les Tramways de l'Ouest du Dauphiné (TOD)) line was operated separately from OTL, which otherwise operated all tramway, funicular and interurban lines in and around Lyon. 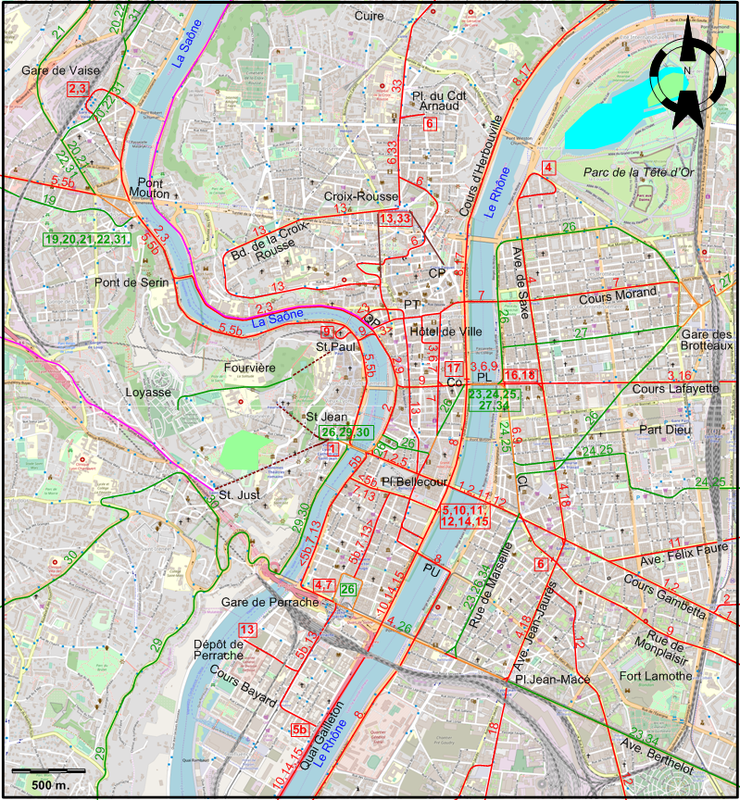 Croix-Paquet – Croix-Rousse : 512 m.
Rue Terme – Croix-Rousse: 489 m.
St. Jean – Fourvière: 431 m.
St. Jean – St. Just: 822 m.
St. Paul – Fourvière: 514 m.